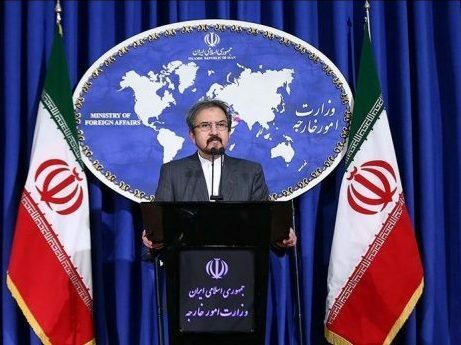 Iran’s Foreign Ministry Spokesman Bahram Qassemi says the recent reports on the role of Iranian nationals in an alleged plot to bomb an MKO gathering in Paris are part of a scenario devised by the terrorist group to deal a blow to Iran-Europe relations. Qassemi made the comment on Tuesday in response to a question posed by a reporter regarding a baseless claim that an Iranian diplomat was involved in an illegal move in a European country. Qassemi said the terrorist Mujahedeen-e-Khalq Organization (MKO) has devised the scenario to affect the Iranian president’s ongoing successful trips to Switzerland and Austria. He also noted that the terrorist cult hatches such plots to make up for the failure of its annual meeting in Paris and its failure to win political support to advance its anti-human and anti-Iran objectives. According to Qassemi, the MKO terrorists try to undermine the status and position of Iran and Iranians in the court of public opinion in Europe at this juncture. “As the Islamic Republic of Iran has announced time and again, it condemns and rejects any act of violence and terror in any form and in any place across the world,” he noted. “Based on the information available, the individuals arrested in Belgium are among the MKO’s notorious and operational elements,” he noted. “Relevant Iranian authorities are prepared to offer the necessary cooperation by presenting the required documents and evidence to shed light on the real dimensions of this pre-planned scenario orchestrated by the terrorist group,” he added.